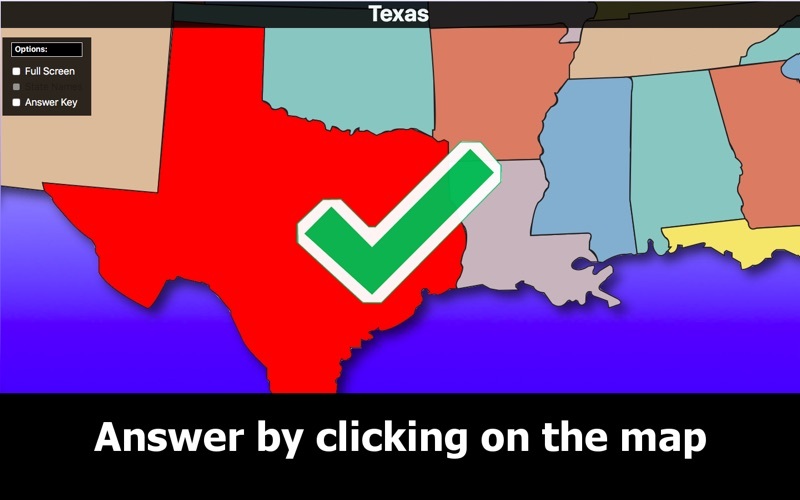 United States Map Quiz Education Edition is an easy to use app that allows children to practice their knowledge of U.S. states, capitals, and flags. 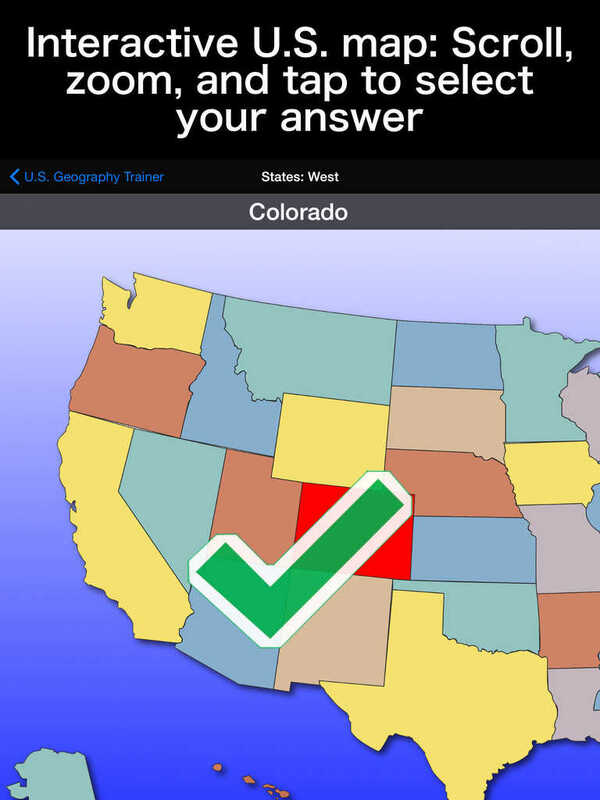 United States Map Quiz Education Edition is an all-inclusive education app that provides kids a fun platform to practice their geography skills. 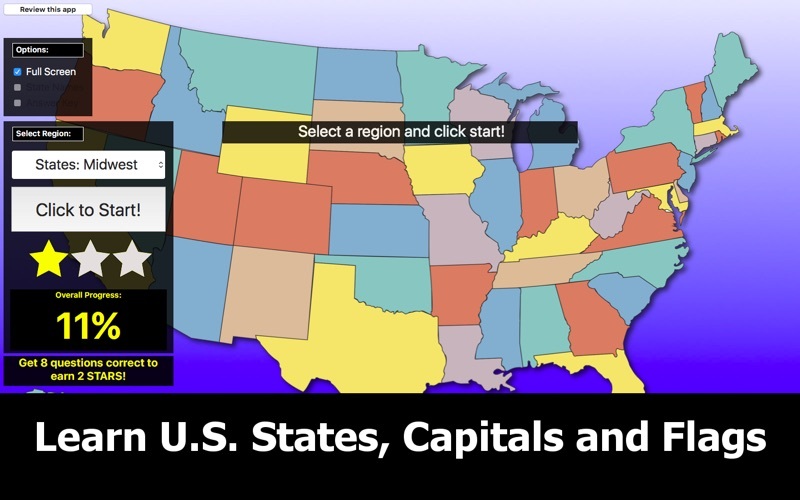 This app is packed full of a variety of ways for players to test their knowledge on states, capitals, and flags and would be a perfect addition to any classroom. While the content of this app is very good, the set-up is not as polished as it could be, especially for a paid app. The graphics and user interface are a bit clunky and not while it’s not difficult to use the app, it’s just not as clean as you might expect it to be. 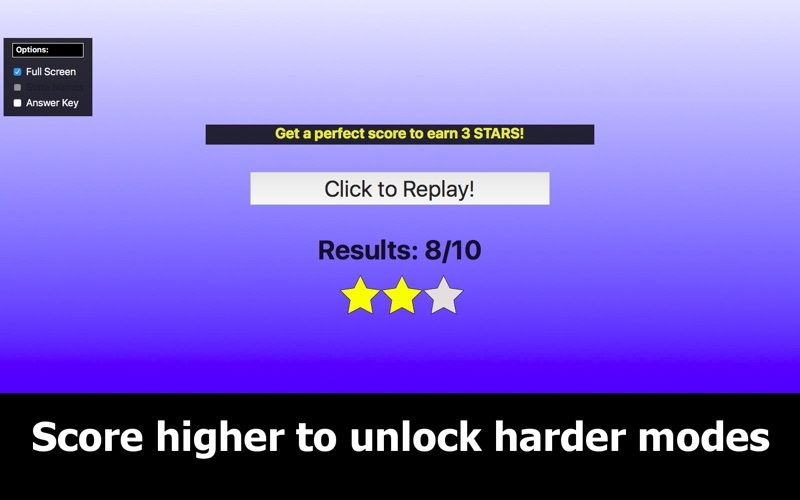 Using the app is fairly simple as players need only to tap the correct states in order to move through the quiz. Polishing some of the graphics and making it more visually appealing would most certainly increase the quality of the app. There’s no doubt this app offers kids tons of educational practice when it comes to knowing their states, capitals flags etc. With 15 different modes organized by type of quiz and region, this app allows children a wide variety of ways to test their knowledge. While this is much more a quiz app, it assumes children know the information ahead of time and are simply testing what they know. It would be nice to have a specific mode that allows children to study the states, capitals and flags in order to learn them prior to testing their knowledge. Priced at just under three dollars, this app isn’t one that will break the bank, however the quality of the app leaves much to be desired. While it works well for a quiz app, it’s not as polished as you might expect from a paid app and might be a disappointment to some parents. 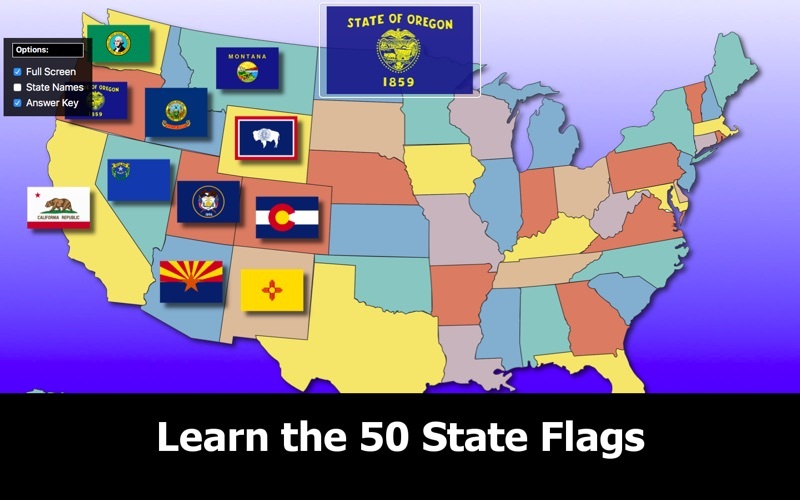 With that said, it does offer an easy way for kids to quiz themselves on their knowledge about the U.S. states, capitals, and flags. 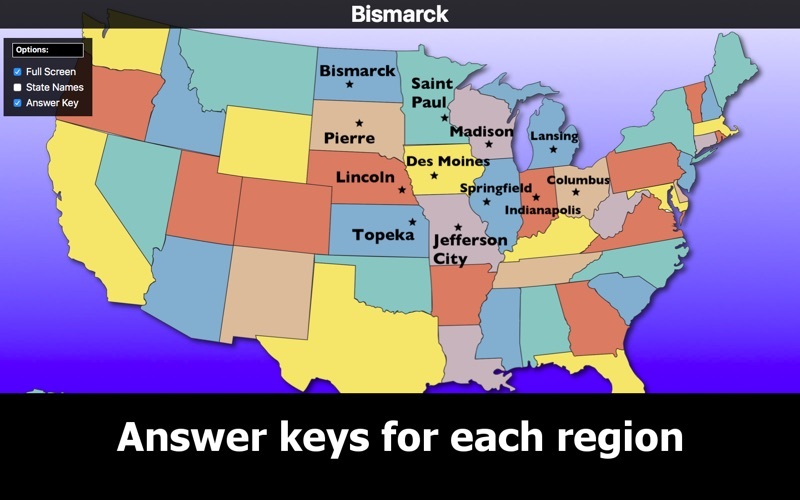 United States Map Quiz Education Edition is easy for kids to play and quiz themselves on what they know. With simple tap and touch functionality, children can easily select the correct answer for each quiz. They also have the option of swiping and enhancing the map in order to get a better look at the possible answers. While it is easy for kids to use, it’s not completely safe as there are unprotected external links. In addition to the “more apps” link, there is also a “rate this app” link that should really be protected or under a parent only gateway.